Okay, these mamas are going camping! Well…two of them are. I’m going fake camping. Its that fun game where your husband hates sleeping on the ground and being dirty and doesn’t want to bring a toddler along for that fun, and you get a hotel room half a mile away from your friends camp sites. However, we are providing the camp stove, so I consider myself an integral part of the process. Amidst the tons of planning and prep we’re doing, I have been focusing on what’s really important. S’mores. Obviously when you’re going to be in a bathing suit for days on end you should be spending your time Pinning recipes to fatten you up. I found these babies on Pinterest. We have three nights, so we need lots of options!!! We’ll definitely share our favorites after we’re all done!!! We’ll have lots of fun updates with *hopefully* good photos of our nuggets on their first ever Friendly Vacation. 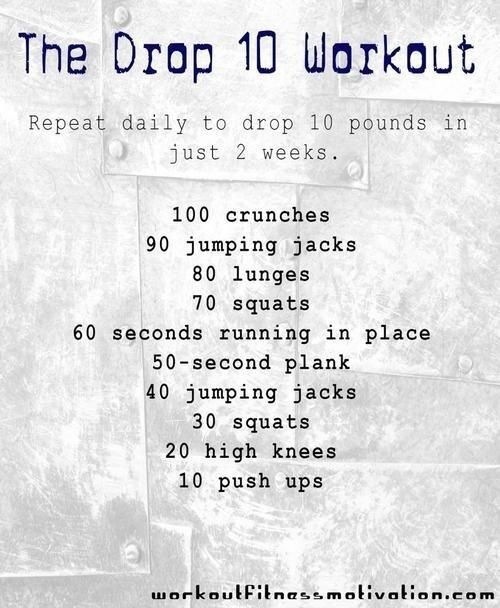 I am OBSESSED with this workout. I found it on Pinterest, of course, and I apologize I can’t figure out the proper linking to it, I did try!!! I’ve been attempting this in the mornings, but Mason does think its a funny game to try to knock me over, scale me like a wall and otherwise distract my efforts so ideally I think you could do it in like 20 minutes, but I take at least 30 to account for a little helper. Remember that time we had a blog???? This whole idea started a LONG time ago, during a period I like to call the-year-i-wish-i-could-forget better known as 2009. Most people who know me or my family know it was basically a nightmare. The details are for another post, or maybe 500, but basically it was the worst year. Ever. Like ever ever ever. (Except I did get married at the end…which was an awesome part, but there was a lot of bad before then). I found as I shared what was literally going on in my crazy job every day, I was able to process at least that portion of things and it helped me laugh my way through it. I mean, someone’s birth certificate actually ready “Milli-yon-aiireee” as the middle name. That’s “millionaire” folks, millionaire. I couldn’t have made those statuses up if I tried. I heard a lot during that time, “You should start a blog!” but truly, ain’t nobody got time for that. I had a wedding to plan and a year to survive, and at the end of the day I think I’m funny, but sometimes other people do not. So there’s that. I’m skipping a lot…but fast forward with me to 2011, and I had a baby. And let me freaking tell you if I thought working with alleged criminals was tough, this is a whole different ball game. Good thing I still have my textbooks from my Asymetrical Warfare classes, because that is the prep material every mother needs. Don’t get me wrong, its my greatest joy, my only purpose and the absolute best thing that has ever happened to me, but its really hard. So again, I noticed publishing my daily adventures helped me keep some perspective, feel like I still had a sense of community, and laugh a little bit at all the really really hard parts that come along with motherhood. So we started a “moms” blog. I’m lucky enough to have my BFF’s here close to me and we all had sweet little nuggets who are all just a few months a part. (I recommend using the buddy system when attempting to have children, ps). We all have different strengths and life situations, so we thought it would be awesome to pool our collective resources and put out some fun and *hopefully* helpful stuff for our friends and family. Which was awesome at first, then it kinda died out. Mostly because all of our lives changed kind of drastically right around last April. It was all good change, but even good change is hard sometimes. After a particularly ridiculous experience while trying to correct my now 20 month old, I of course turned to my old friend, Facebook. I had a conversation with my parents after this post, and they kept saying “you should just blog about all of this!”, and my immediate response was just “No, not now”. Things are hard now. I’m busy now, I work more than part time for a marketing agency, luckily a lot from home, but I’m also trying to parent a 20 month old who really hates it when mommy has “work time”, oh and a husband, a house, groceries, errands, and all of those damn Pinterest projects I can’t seem to stop obsessing over. But I can’t stop thinking about how every time I do actually sit down and write out what’s going on up in this head of mine here, I feel SO much better. Honestly I know its not rocket science but I seem to have a difficult time “getting it”. So this is me, back in the saddle, if you will. Right? Its not the be all, end all purpose and existence of my life, but if I have to stumble through this mess, someone else should get to laugh about it.